I’ve been working on my wedding vendor marketplace and wedding planning app for eight years. Now I’m looking for a new owner to help it grow. UPDATE 01/01/19: WeddingLovely has officially shut down and a sale is no longer possible. I am keeping this post up for posterity. Thank you for your interest! Hi, I’m Tracy — the founder, designer, and developer of WeddingLovely, an online wedding planning web app and wedding vendor marketplace (funded by 500 Startups in Fall 2011). 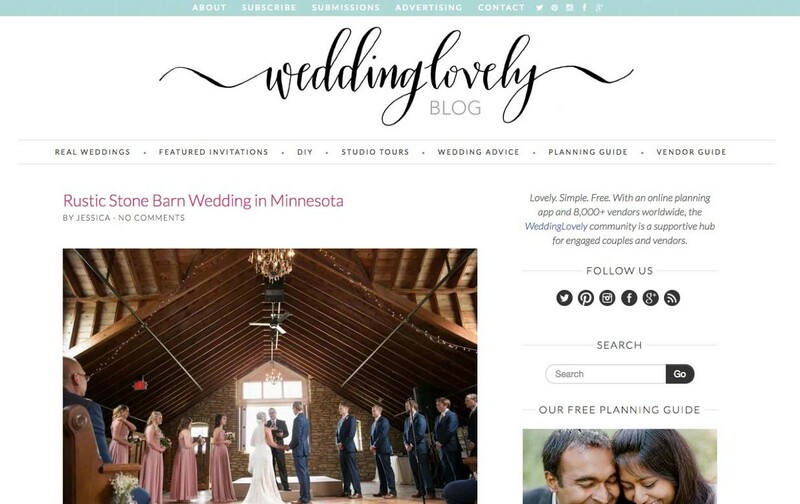 I launched the first WeddingLovely property in January 2010, and eight years later it has grown to over 8,000 wedding business partners, four employees, a popular weddings blog, and profitability. WeddingLovely has been featured recently in IndieHackers and I talked about the business in the IndieHackers podcast. This year, I’m looking to sell WeddingLovely. Many people dream of building a passive-income stream like this. The platform has been built to be extensible so that new niche-specific properties can be launched quickly. The blog is bringing in significant affiliate and advertising revenue (over $40,000/yr, more details below) and with some attention could be grown further. Using the API and existing content, a mobile app could be launched. With the right leadership, WeddingLovely could significantly grow in users and revenue, which is why I’m selling: I’m not the right leader for the job and I want to see WeddingLovely continue to grow. In the interest of teaching other entrepreneurs, I’m going to be completely open with documenting the process. WeddingLovely is a Delaware C-Corp with two employees (myself included), two contractors, and three investors (500 Startups, Elena Krasnoperova, and Sam Stokes) putting in $75,000 in total investment. The backend runs on Python, Django, PostgreSQL, and Nginx. Images are hosted on Amazon S3, and the blog is served by Wordpress. WeddingLovely’s revenue comes from affiliates (50%), premium business accounts (33%) and advertising/sponsored posts on the blog. 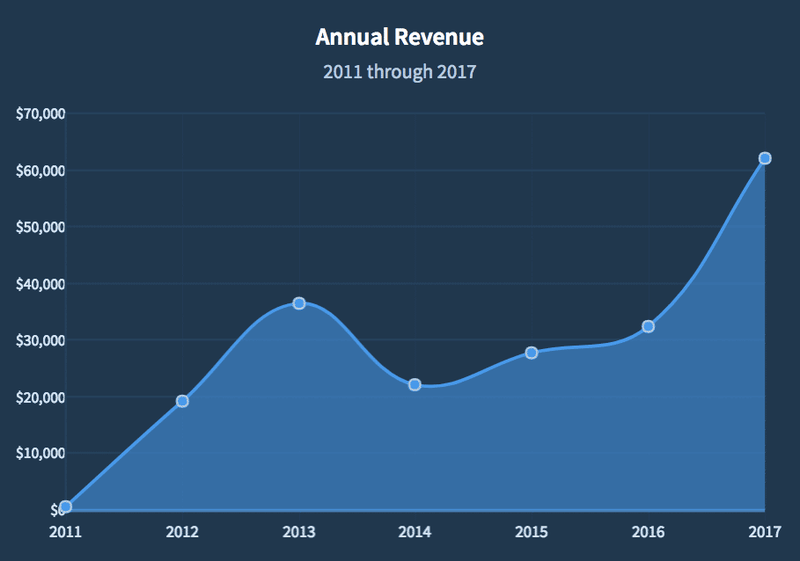 In 2017, total revenue was $62,000 USD. 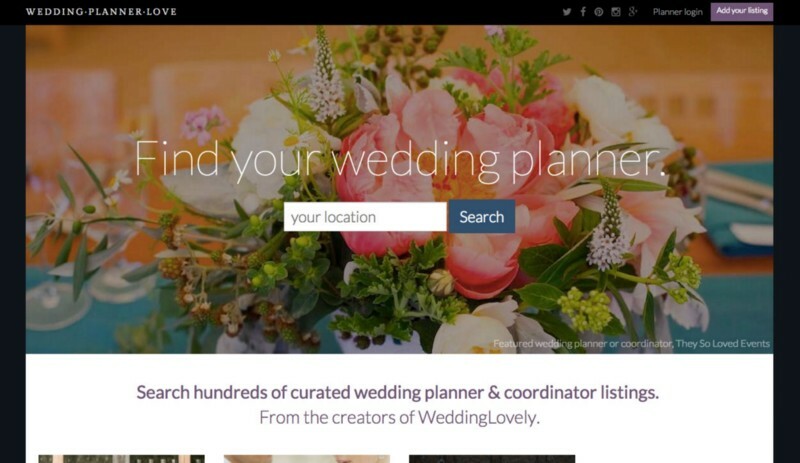 WeddingLovely’s ecosystem includes three major pieces: The wedding vendor marketplaces, the wedding planning app, and the weddings blog. Various wedding business websites run off of one platform. 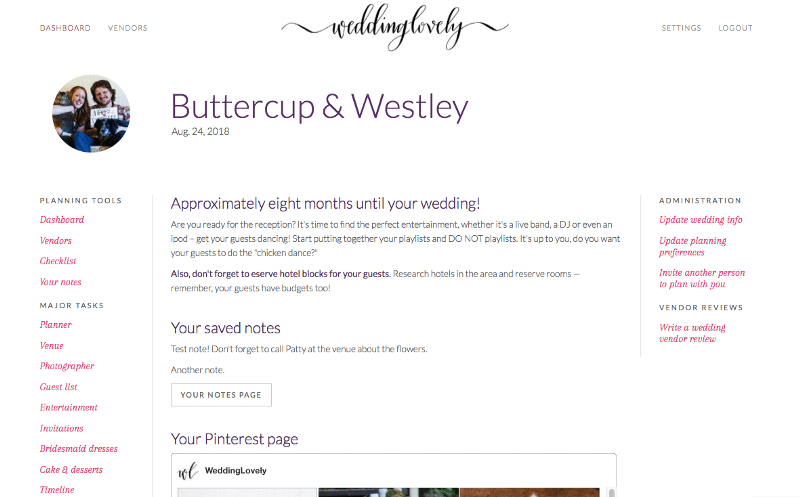 The WeddingLovely Vendor Guide (all businesses), WeddingPlannerLove (only wedding planners), as well as listings within the WeddingLovely Planning Guide. There are eight individual wedding vendor marketplaces serving different verticals: WeddingInviteLove.com, WeddingPlannerLove.com, WeddingPhotoLove.com, WeddingVenueLove.com, WeddingVideoLove.com, WeddingFlowerLove.com, WeddingMusicLove.com, and WeddingCakeLove.com. There is also a combo site combining all those service verticals and others (like wedding favor designers) at the WeddingLovely Vendor Guide. All the vendor sites are run from one Django project and backend. For example, a wedding planner’s public listing will be automatically served in three places — on WeddingPlannerLove, the Vendor Guide, as well as within the wedding planning app. Vendor reviews. Crucially needed for choosing businesses for your wedding. My team has been trained in resolving disputes between reviewers and businesses. Reviews are a combination of stars for specific areas (like “responsiveness”) as well as different text reviews — public, private to the vendor, and private to only WeddingLovely. Vendor recommendations. Great businesses know who the other great businesses are. RESTful API. The vendor directory and planning app speak to each other through a simple API, and it’s built to facilitate potential mobile apps or third party widgets. Vendor profile and search analytics. Paying vendors get an analytics dashboard to see how often their listing is viewed. Note that this feature is currently disabled since migrating the user assets to S3, but can be enabled with a few hours of work. 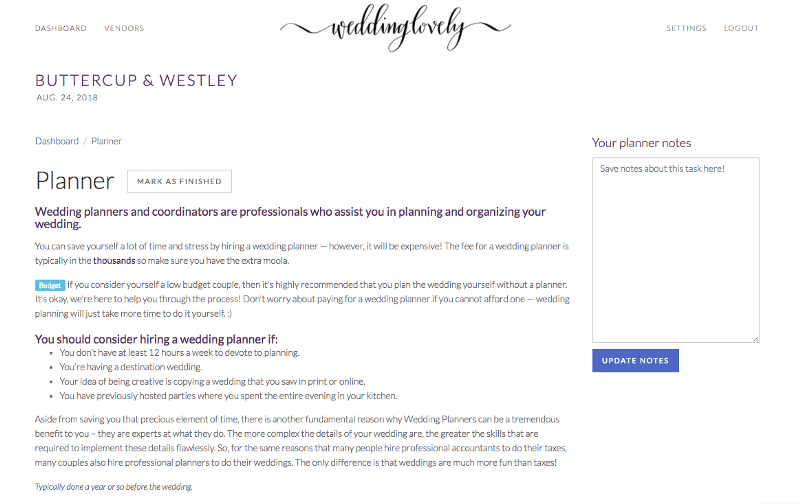 Various screens in the WeddingLovely Planning App. I launched the wedding planning app so I could diversify the customers served by WeddingLovely, and it was originally a paid app until I decided to make it free to maximize the number of signups (another place you could experiment charging to increase revenue). The planning app was designed to be no-nonsense and very friendly — like a family member walking you through the process of wedding planning. The tasks have been narrowed down to the major ones that most weddings go through (finding a venue, hiring a photographer) to keep the process as sane as possible. 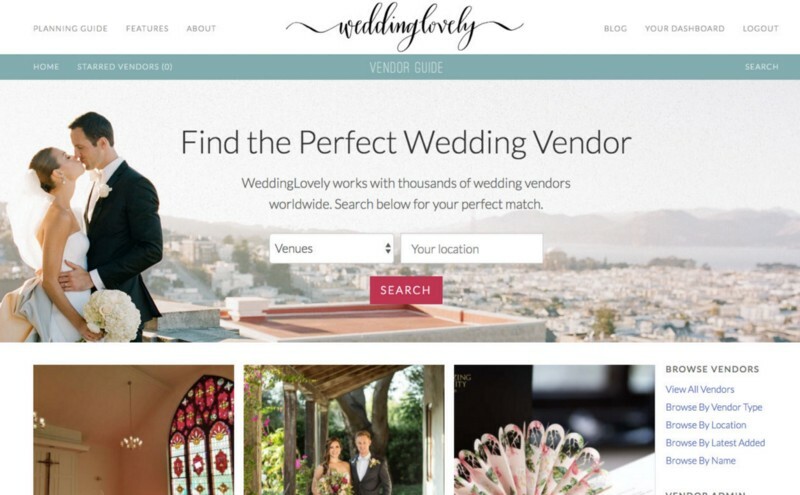 There’s an opportunity here to build a mobile app using WeddingLovely’s APIs. Can invite others to plan under the same account, like friends, family, and professional planners. Every page has a notes area to save extra information. Pinterest board integration to tie in visual inspiration. Finding/reviewing vendors from the planning app. Personalized content options. Users can mark options like “eco-friendly” or “low-budget” and the content will update for their specific situation. Weddings aren’t one-size-fits-all! Email marketing already set up in Mailchimp. Monthly/weekly emails are sent with an overview of the best things to work on that month. I created the planning app that I wish existed when I was getting married: something chill, friendly, down-to-earth, and filled with legit information—not affiliate links and ads. 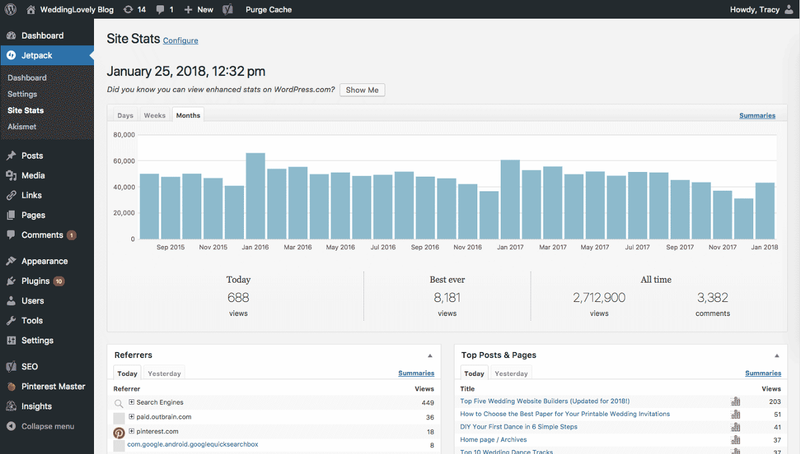 Front page of the blog and yearly stats. While our traffic went down year over year, the quality of the traffic (and revenue) went up in 2017. Sharing their content gives us an opportunity to work directly with businesses (and up-sell these businesses to paid accounts), gives us content that we don’t have to write to share on our blog, and gets us traffic—both through SEO as well as referral traffic from the business. The blog has grown to 50,000 views monthly, and generates a significant part of WeddingLovely’s income through sponsored posts and affiliate content. Full editorial calendar system on Asana. Posting categories, days, setting up and moving content into Wordpress — the full system is pretty sophisticated and allows us to post 1–3 times per day on the blog and share those updates easily on our social networks. Active, popular social media accounts. 6,800 followers on Twitter, 26,900 on Pinterest, 4,300 likes on Facebook, and 4,000 followers on Instagram. Some easy work could be done to improve the follower stats on Facebook and Instagram. 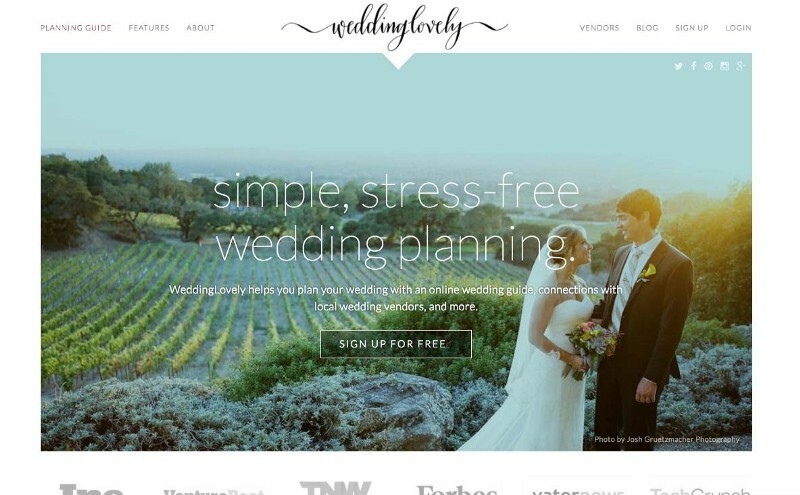 WeddingLovely is an eight year old startup in the weddings space, which is notoriously hard to stay afloat in. If you’re working with couples, you need to replace your entire customer base year after year. This is why I chose to focus on wedding businesses instead. I started WeddingLovely so I could work with wedding businesses, specifically wedding stationers and designers. Gradually, I started working with other businesses (like venues and planners), before launching the wedding planning app in 2012 to start working directly with brides and grooms. Today, WeddingLovely is myself, a full-time marketing manager based in the US, a full-time marketing and administrative assistant in the Philippines, and a part-time blogging assistant in the US. My three employees/contractors basically run the business and I believe they’re crucial for any transition and for the future of WeddingLovely. The staff is well-trained and in tune with the industry, and they more than pay for themselves. I believe my job is replaceable but I will highly recommend keeping the team on to any buyer. Vendor/business premium subscriptions. 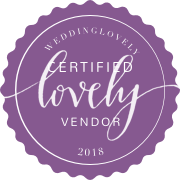 This comes in several flavors: A $190/year option to have their business reviewed by WeddingLovely and get our “stamp of approval,” becoming a “Certified Lovely Vendor”. We also have a $270/year option for businesses to show their listing in every search result (useful for online businesses like wedding websites, where location doesn’t matter), and a combo option for $460/year. Affiliate revenue from the blog. We’ve set up ShareASale as well as other, smaller, programs on several of our posts and one in particular has gone viral. Advertising revenue from the blog. This is for posting sponsored posts (which is the vast majority of our advertising revenue) and sidebar ads. Overall, 50% of our revenue comes from affiliates, 33% comes from premium business accounts, and the rest comes from advertising. Why am I selling my business? One of WeddingLovely’s strengths is that it largely runs itself. After years of working on the business solo, I was burning myself out, so I started writing beginner books, which has turned into my passion. WeddingLovely hasn’t grown as it should with my distracted leadership. In fact, when I hired my full-time marketing manager in early 2017, I replaced my salary entirely in order to hire her. 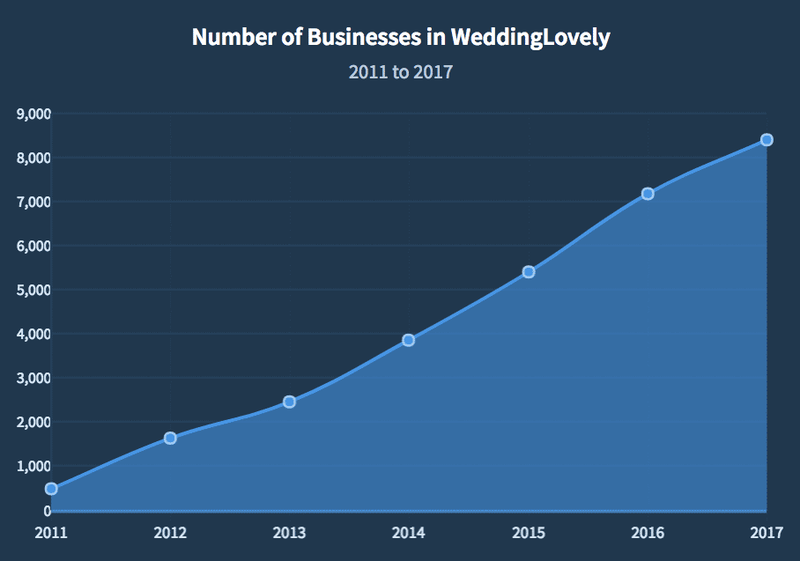 Since then, WeddingLovely’s revenue and profit has exploded. 2017 was WeddingLovely’s best year yet, with $7,200 in revenue in August and overall $62,000 for the year. Having someone passionate at the helm has transformed the business and a huge sign to me that I needed to find a buyer for the business to replace my role as CEO. There is a lot of opportunity with the wedding planning app. The framework is completely built out. The content can be updated, and partnerships/affiliate opportunities could be made to monetize the app. Improve the SEO for the vendor listings. I started working with businesses to give me custom blurbs for their area and vendor type (for example, an overview of hiring a planner in Pittsburgh, PA), which I then added to our category pages for that area. Adding more content blurbs will undoubtedly improve the SEO for our location pages and something I regret not finishing. Add a vendor/business search page to the blog. A lot of wedding blogs have their own vendor listings and, with the vendor API that WeddingLovely has, it’s a no brainer to set up a page on the blog for visitors to browse nearby vendors. Vendors are already used to paying for a listing on wedding blogs and this would be a good way to increase the number of premium business accounts. Expansion into other cultures. India has a huge wedding culture and quite a few Indian businesses are already in WL’s network. Why not open up a new sub-directory targeting that vertical? Huge opportunity to create a white labeled directory for other businesses. WeddingLovely has an API. Wedding blogs, for example, run on Wordpress and their directories are often custom built at a huge cost. A white label Wordpress plugin could help other blogs build their directories faster and reach a better source of businesses (starting with the 8,000+ on WL). Their traffic would help WeddingLovely-partnered businesses and drive new businesses into the network. A potential feature I regret not having time to explore. Rank businesses by quality in search listings. WeddingLovely’s listings, and most other listings in other wedding business directories, are ranked by either distance from search query or whether they’re paying the directory. 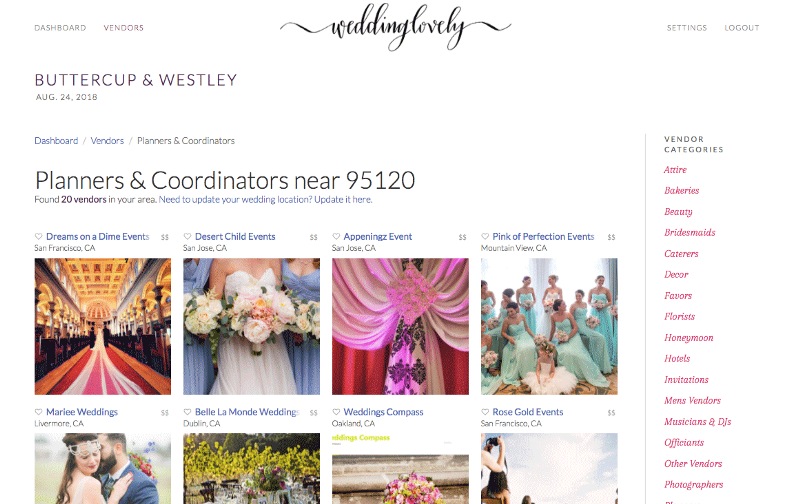 WeddingLovely has so much data about businesses through their listings — their reviews, their recommendations, who recommends who, how well they’ve filled out their profile… and search listings could be sorted by quality. I want this (“PageRank for wedding vendors”) to exist for wedding business directories and regret I never finished building it out. It should be obvious at this point that I am super proud of what I’ve built and I don’t want it to disappear. The team is passionate and loves what they do, and with the right buyer, the business could flourish. I am looking for a complete transfer of ownership, but I am available to join for a transition period. Feel free to ask me questions via email or on Twitter (DMs are open). I’ll update this post with a FAQ with common questions. P.S. Is there someone in your network who might be interested or would appreciate this post? I invite you to smash the applause button and re-share. Unlisted Thanks to Andrey Petrov, Julia Grace, and Kevin Cheng.